Each Saturday on my blog I will be posting “Saturday’s Sizzle,” something I think is hot in the world of photography, art, travel or writing. My first Saturday’s Sizzle features “Rick Smolan Tells the Story of a Girl.” This TED presentation tells the unforgettable story of a young Amerasian girl, a fateful photograph, and an adoption saga with a twist. I hope you are as enthralled as I was. 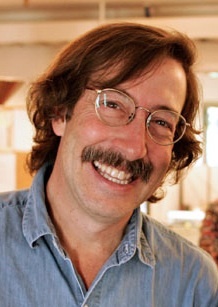 Rick Smolan is a former Time, Life and National Geographic photographer who is best known as the co-creator of the Day in the Life and America 24/7 series. He and his partner, Jennifer Erwitt, are the principals of Against All Odds Productions, which specializes in the design and execution of large-scale global projects that combine compelling storytelling with state-of-the-art technology. Jeffrey is privileged to have worked on two projects with Smolan: One Digital Day and American 24/7. This entry was posted in Photography, Travel and tagged adoption, amerasian, photography, photojournalism, rick smolan, story or a girl, TED talk by Becky Green Aaronson. Bookmark the permalink. That was an amazing story. I could not stop watching it. So glad you enjoyed it. It’s quite a story. What a great story. Wouldn’t it be nice if this were the typical news story! That’s one of the reasons I wanted to share it; so people could see what is possible. Hi Becky, I didn’t move a muscle through this story. It was so moving and showed how we really can all get along. If only…..
I’m glad you enjoyed it as much as I did.